April 21st, 2014 by Lauren Hall-Stigerts in Editorial. 1) The rise of crowd-sourced funding through sites like Kickstarter has liberated developers to find money directly through their audience instead of pitching to a few big publishing houses. 2) The technical barriers to developing clever, fun, or beautiful games have been lowered, allowing more independent developers to take risks and try their hand at creating their own work. While there are a ton of games to be excited about in 2014, I’ve researched and selected those that you won’t want to miss. Developer & Publisher: Thekla, Inc. Fans of puzzle adventure games: rejoice. The genre is alive and well. 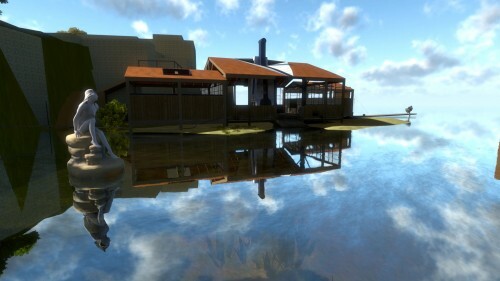 If you were playing games in the 1990s you might remember the breathtakingly beautiful, solitary, and expansive MYST. 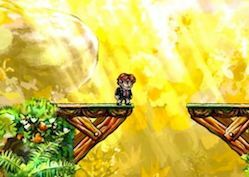 Puzzle adventure worlds became a popular interactive art form as technology improved – developers were able to showcase immersive, well-integrated stories that liberated them from violent and sensational tropes that were saturating the media. And then something happened at the end of the 20th century—puzzle adventure game production seemed to evaporate. Publishers redirected investment into new genres and had little interest in something they proclaimed to be lost to the last decade. Independently funded game development is on the rise and with it some absolutely stunning works of art-in-motion. 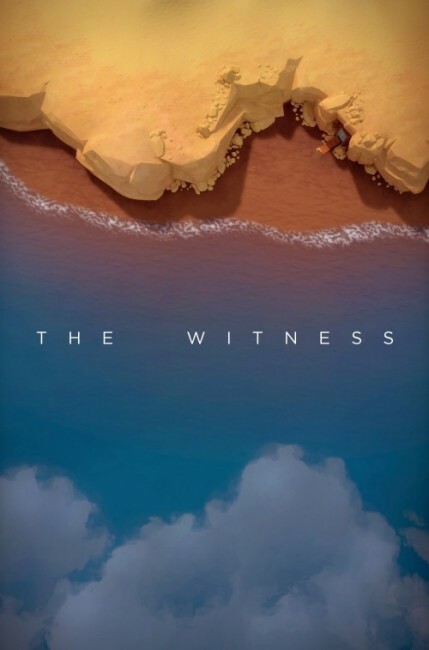 Take one look at poster art for The Witness and you will get hit with the airy, isolated splendor the game (and its buzz) promises. 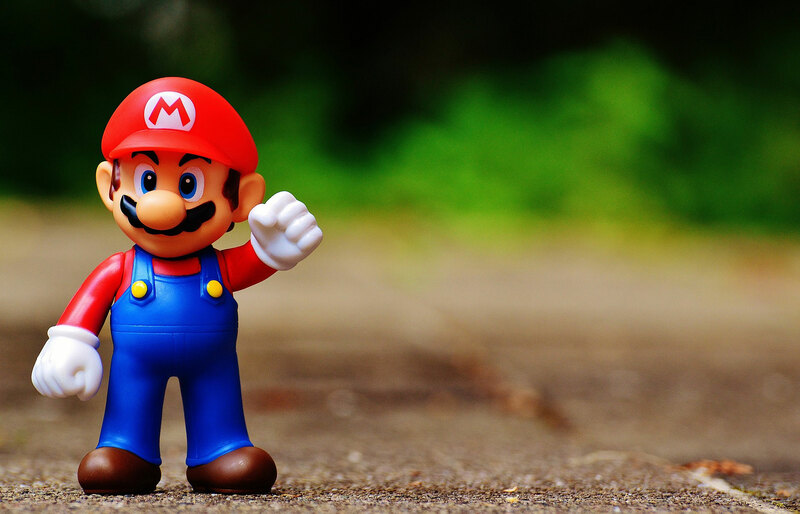 Jonathon Blow, known for his philosophically inspiring work, is creating a game that rewards players to explore the world and form their own opinions. You are the witness to storyline that evolves based on your unique choices. Inspired by MYST, Blow even recruited Cyan veteran artist Eric Anderson to help build a world that absorbs your attention through subtle detail. I admit that the fangirl in me got mushy for shots in the trailer that were uncannily Riven-esque. 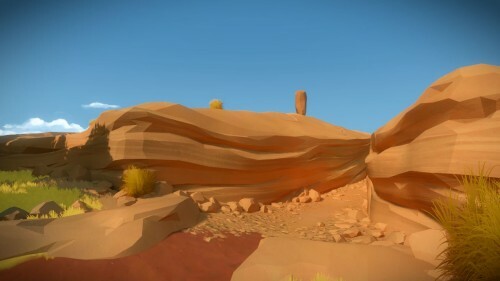 The Witness team regularly updates their blog with juicy details that’s a feast for the eyes. Definitely worth a look (where you’ll also read that they’re working with Valve for future virtual reality support on new technology). If you’ve stayed up past your bedtime, curled under a blanket in the dark to watch movies such as Alien and 2001: A Space Odyssey, then get geared up. There’s an abandoned space station floating in the moon’s orbit and you must solve the gritty mystery of what went down. 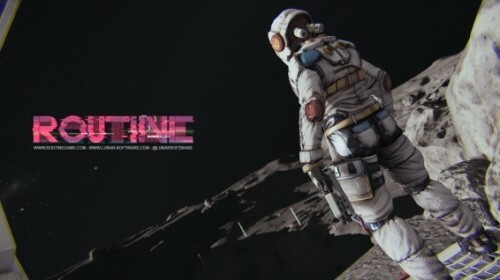 ROUTINE takes everything you love about exploratory environments and combines it with the “goosebumps-as-you-inch-into-a-dark-hallway” terror that coats the walls of sci-fi horror movies. Minimalistic music and sound effects give it a sense of realism that draws you in. Remnants of daily life on a space station – such as snack vending machines – paint a story about the bygone inhabitants. Empty corridors with distant mechanical sounds keep you on edge. The game mechanics are built to appease both those who like to fight or take flight. Feeling confident about your shooting skills? Stand up to the machine approaching you in the dark. If you’re not a fan of confronting your fears, the game is designed so that you can flee and continue on your journey. Enter Extra-Terrifying Mode by wiring the game to your Oculus Rift virtual reality headset. 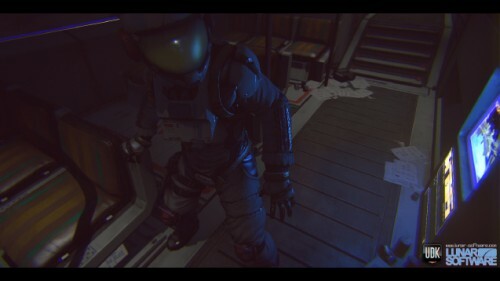 The gear replaces real-life light and sound with a screen and in-game sound effects – as close to orbiting the moon alongside terrifying creatures as you can get. Check out this interview with the game’s artist and designer for more details on the making of ROUTINE. 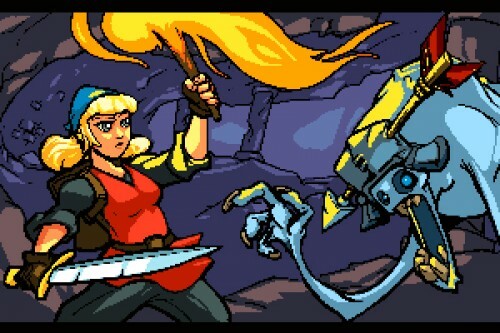 DDR meets your favorite 8-bit dungeon RPG in an addictive, beat-induced indie game. This one made my list for a creative genre mash-up. Just like you’d expect from dungeon crawlers, you traverse along monster-infested landscapes, pick up magic items, and uncover secrets. The clever twist in Crypt of the NecroDancer is that you travel and defeat to the beat. The multicolored dungeon tiles make our heroine appear to be breaking it down at a disco while tearing it up. The soundtrack sounds totally sweet with catchy four-on-the-floor rhythms—or you can provide your own MP3s to play in-game. Sometimes a game studio really sticks with you, you know? Fellow gamers of the ‘90s: you’ve probably been coated with the magic fairy dust that LucasArts added to their wildly popular titles. Although LucasArts is a different company now, we can still get the talent and goodness we experienced with its prior games through talent that has moved on. Tim Schafer, co-designer of genre-defining graphic adventure titles such as the Monkey Island franchise and Day of the Tentacle, founded Double Fine Productions after leaving LucasArts. Broken Age is Schafer’s first point-and-click adventure game since Grim Fandango the late ‘90s, so there’s much to get excited about. After several popular releases Double Fine remains a well-respected independent game developer. Broken Age, their point-and-click treat due out on January 28, is the product of the video game community’s support: Double Fine’s crowdfunded campaign to raise development money resulted in achieving 750% of their goal – raising over $3 million. 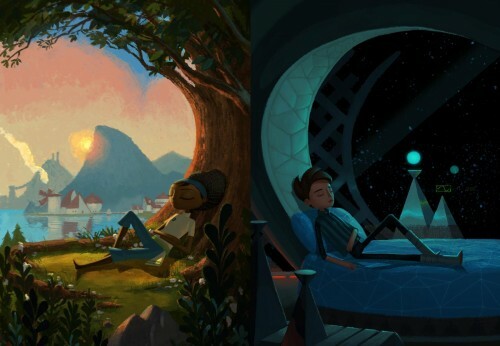 Broken Age chronicles the journeys of two seemingly unconnected teenagers. Vella is a headstrong village denizen who refuses to let her community be terrorized by an ancient monster that takes girls as offerings in exchange for peace. In the outer reaches of space, Shay begins to question the confines of his comfortable and solitary world managed by a motherly computer. 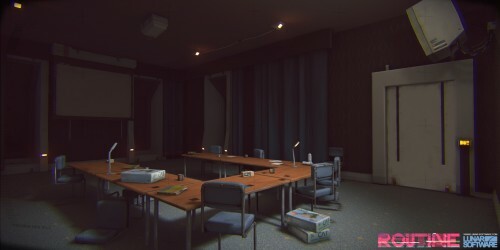 Backers received early access to the game in mid-January – and the feedback is looking positive. The only downfall is that it’s being released in abbreviated “acts”, so fill your dance card now with point-and-click adventure games to play until Act II gets released. Indie games don’t only come in the digital variety! If you’ve played one of those social “make a judgment call” card games that have become popularized in the last five years, you’re going to thank me later. Especially your friends who keep playing the same card games over and over – here’s one that will shake things up. 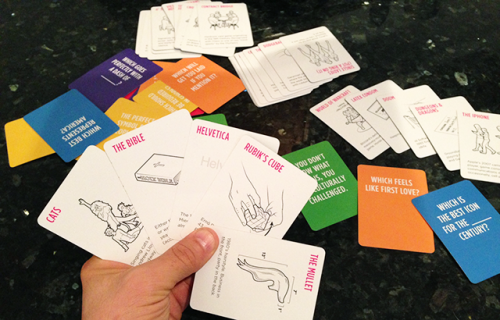 I backed this on Kickstarter because it encourages critical thinking and discussion around important ideas disguised as a party game. Cards Against Humanity is fun but sometimes you want to have a good intellectual battle with your friends. Let’s get smart and have fun, shall we? Preorder your deck here. Which games are you anxious to play in 2014?